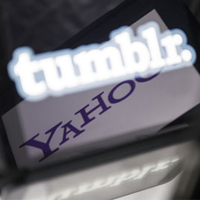 Yahoo’s purchase of Tumblr during the week has pushed the site further into the limelight. Once Yahoo doesn’t give the site the kiss of death, as it’s done before with other purchases, Tumblr could become even more main stream than it is now. So, for those of us who have dabbled or even those who have a long term interest in the site, we’ve compiled a number of tips to get the most from Tumblr. Tumblr has a number of keys that allow you to push through the dashboard faster – which is great and saves a lot of moving about. Take a look. If you want to re-blog, but don’t want to leave the dashboard, then just press Alt. If you just want to tag then the Ctrl key does this. So, if you want to use Tumblr but don’t have the Internet, there’s an answer – SMS. It’s also possible to post to audio once you set it up. Just get the Tumblr email from your settings it’s possible to send a blog, image or most other features via text message to the site. Tumblr offers the chance for you to make your post SEO friendly, so we’d advise you to do so. Include tags and customise the URL. It’s also possible to highlight the post at the bottom of the page. Each Tumblr post has a fold on the top right hand corner and this becomes apparent when you move a mouse over it. If you leave the cursor there for a period it will show you the time the post was originally published. It’s also possible to click through to the first version of the post on the blog. Adding /photos to the end of the URL string will show you photos only in a nice and tidy tile format. However, if you add /show/text you will get the text only. This works for everything from photos, audio, video and most other forms of media – just add ‘/’ in-front of any of the aforementioned. So, we’d say take a look and get to grips with Tumblr, it could play a big part in the future if things go according to plan. Looking for a creative Tumblr campaign? Click here for more information about our social media services.